Redesign of popular online store selling home-baking and sugarcraft products. Proud to have been working with Jane Asher for the last few years, we had delight in redesigning this hugely popular celebration cakes and baking site to bring it up to date and responsive. 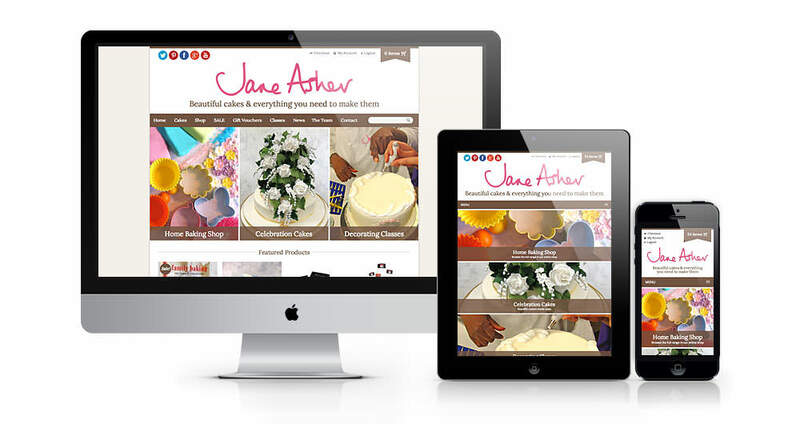 With a large e-commerce store and thousands of products for sale, not to mention a spectacular gallery of all of the Jane Asher bespoke celebration cakes designs, Jane Asher is one of the nation’s favourite suppliers of all things sweet and delicious.